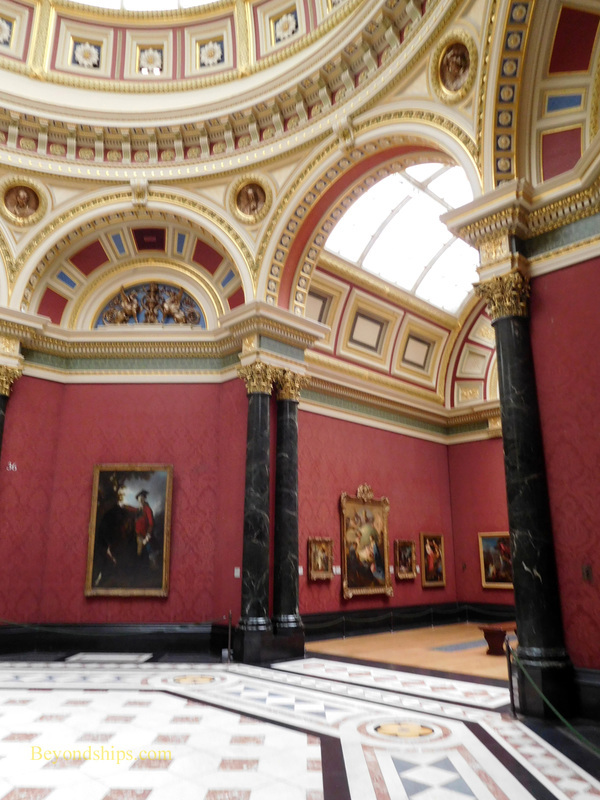 The National Gallery is one of the world's great art museums. Its collection contains Western European style works from the 13th through the 19th century including masterpieces by DaVinci, Rapahel, Rubens, Turner, and Monet to name but a few of the artists. Calls for a national collection of art began in the late 18th century. Such collections had been created elsewhere in Europe and it was felt that Britain should have one as well. The British collection began modestly when the government purchased 38 paintings from the estate of the banker John Julius Angerstein in 1823. The collection was first housed in a former townhouse on Pall Mall. But in 1838, a building designed by William Wilkins specifically to house the national collection opened. The design attracted much criticism when it opened but over the years, the building has become a favorite of Londoners. The new wing is perhaps technically better suited for viewing the works. However, the ornate older building has great character. With some 2,300 paintings in the collection, you cannot see everything in a single visit. However, the museum offers free 60-minute taster tours of the collection. Its website also has a list of 30 suggested highlights if you want to explore independently. Along the same lines, you can purchase a 60-minute audio tour that encompasses 40 of the major works in the collection. One set of rooms that is very popular house the museum's Impressionist works. These are located off to the right near the main entrance. Major works by Manet, Monet, Renoir, Degas, and Van Gogh attract many appreciative viewers. However, do not miss the masterpieces by Constable, Stubbs and Turner in an adjoining room. 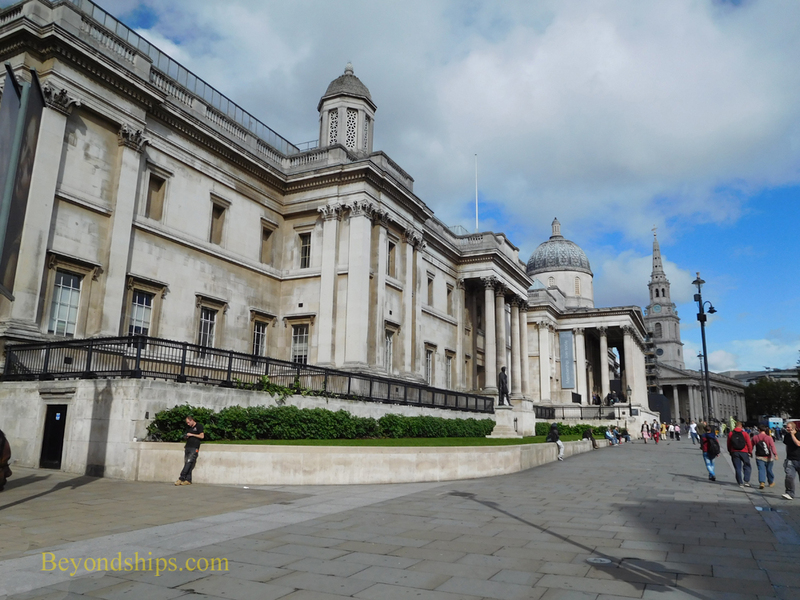 Located on the north side of Trafalgar Square, the National Gallery is in the center of everything. In one direction is Buckingham Palace and visible in another direction from the front steps is Big Ben. 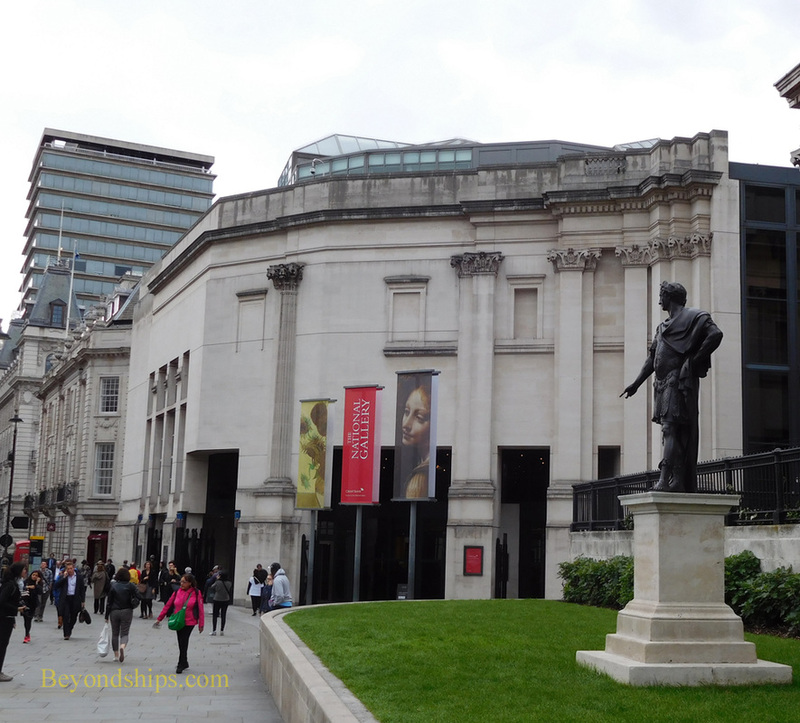 The National Gallery is open 361 days each year and admission is free. For more information on visiting, see the National Gallery's website.